The best and easy to make homemade burger recipe! Pork and beef burger patties that are so juicy and meaty with the best homemade mayo that you have ever had on top! 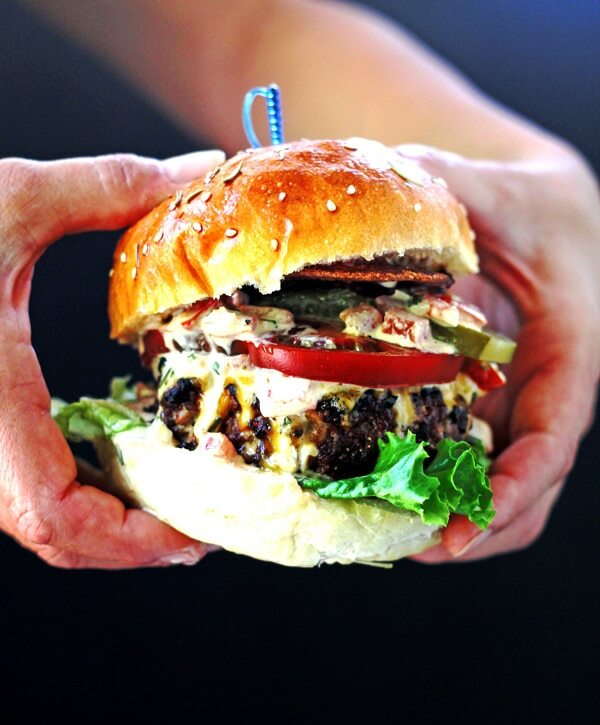 Once you try these burgers, you will never buy store bought burger patties again. 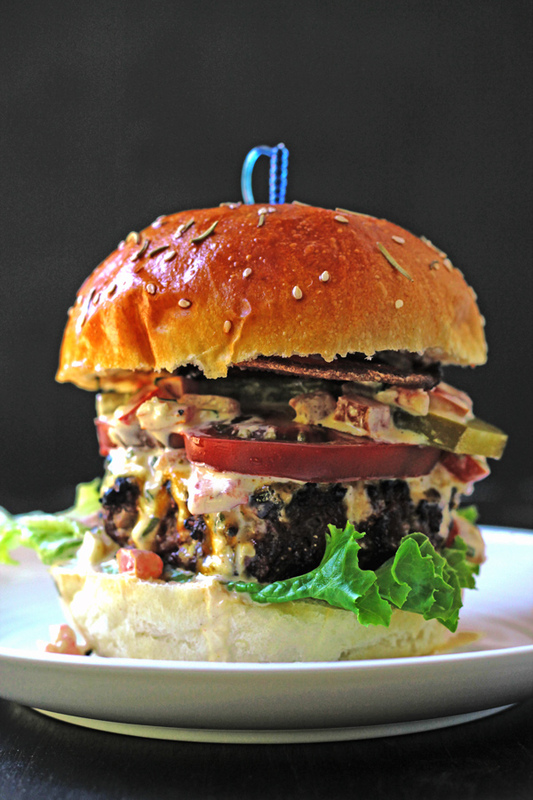 Gourmet burgers made at home = huge summer bbq win! Should you put breadcrumbs in burgers? No! No also to eggs, onions, or any other veggies. We used to make our home made burger patties with bread crumbs, egg, and spices, but we saw a show on the Food Network about burgers being the best with only meat and seasoning and said that anything else was meatloaf, not a burger. Which is actually pretty accurate lol. We gave it a shot and we will never go back to using anything but just meat and seasonings in our homemade burger recipe. It tastes so delicious and meaty and we think it goes the best with all the toppings and sauce. You just need to remember to liberally season the patties with salt and pepper. 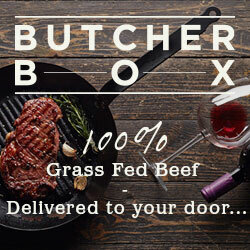 Whats the best meat to use for burgers? The best meat to use in this beef and pork burger recipe is regular ground chuck for the beef and regular ground pork. Don’t buy the lean ground for either. And don’t get ground sausage for the pork. You want plain ground pork. Whats fat percentage is best for burgers? 80% lean protein and 20% fat is the best meat to fat ratio for burgers. More fat than that and the burgers will shrink excessively, less fat than that and the burgers will be dry and not juicy. How do you make homemade burger patties? Fresh ground meat is the best for burgers. You want to see the strains of ground meat in your package. 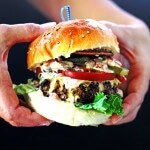 Don’t use meat that has been stuffed into a bag, it will be too dense for a perfect juicy and tender burger. If you can grind your own meat, its even better. When you mix the beef and pork together, mix gently and only just enough. Debbie has this awesome little tool for making burger patties. It measures out the patty in 1/4 lb, 1/3 lb and 1/2 lb measurements so you know your patties are all the same size. If your like me and you like things to be even, or if your like Debbie and need every kitchen gadget you can get your hands on, then you need one of these! But still remember to BE GENTLE when you press your burgers into patties. What spices do you put on a burger patty? Only salt and pepper makes the best meaty tasting burger! Use salt liberally. Whats the best way to cook burgers? You can cook them on a hot bbq grill and that will taste great, but our favorite way to cook burgers is on a flat cast iron grill. You can use these on the BBQ or on the stove. Either way the pan or BBQ needs to be hot hot hot! With a hot flat grill, the burger will get these delicious charred crunchy bits that just make these homemade burgers amazing. Put the burger on the hot pan and leave it alone till the top turns purple and the fat and juices start to come up on the top, then flip once. This will take about 5 or 6 mins. Don’t push the burger down on the pan or grill! That will literally squish out the juiciness. Cook for another 4 or so mins. The best way to eat a pork and beef burger is cooked to medium. Just a tiny tiny bit pink in the middle. Not completely well done. We always eyeball the burgers for doneness, but if you want to be exact, beef and pork burgers should be cooked to 150 degrees. They will keep cooking as they rest for 5 mins before serving. Sometimes I just cut one and peek in the middle. I eat that one and then serve the rest to my guests. What are the best toppings for burgers? How do you make homemade mayo? 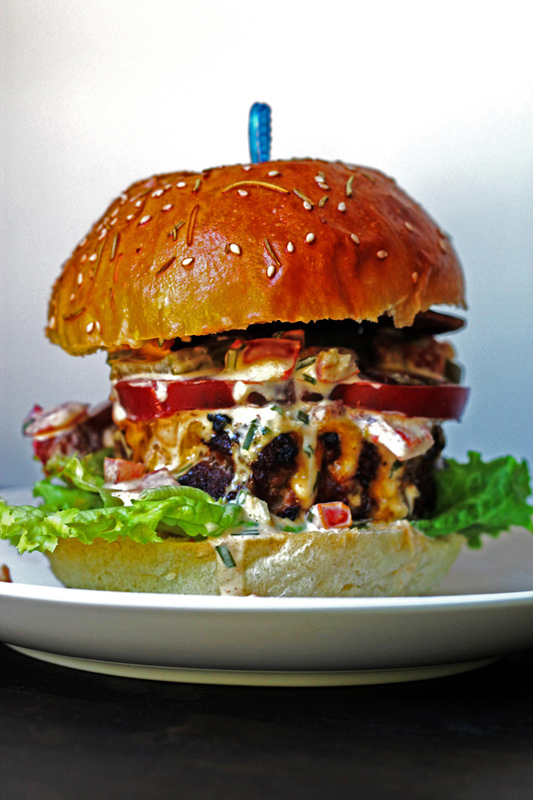 The sauce that we made for these homemade burgers is the star of the show after the burgers themselves. It’s so easy and you can flavor it exactly the way you want to. I love a messy burger that’s got just enough sauce, but not with tons of mayo, if you know what I mean, and this sauce makes that happen. In a food processor, combine the egg, lemon juice, mustard, garlic clove and process until nice and foamy. With the food processor running, pour in the oil in a very thin trickle until the mixture becomes thick. Then stir in the tomatoes, paprika, cajun spice and seasoning by hand. our amazing turkey burgers – if you like garlic and cilantro, be sure to check these out! If you’ve tried this beef and pork homemade burger recipe then don’t forget to rate the recipe and let us know how it turned out in the comments below. We love hearing from you! You can also FOLLOW us on INSTAGRAM, PINTEREST, FACEBOOK, and TWITTER to see more delicious food and what we’re getting up to. In a large bowl mix the two types of meats gently. Dont over mix them so they stay nice and juicy. Form 8 large balls with the meat and then gently flatten into patties. If you have a burger maker tool, make the burgers about a generous 1/4 lb each. Turn the BBQ on to about 450 degrees. Place a cast iron flat grill on the BBQ. When the BBQ is hot, cook the burgers on the flat grill about 4 mins on each side. The internal temperature should be about 150 degrees when they are done. If you are putting cheese on the burgers put it on after about 3 mins on the second side and close the lid so the cheese melts. Remove from the BBQ when the burgers are done. If you can, let the burgers rest for 5 mins before serving. In a food processor, combine the egg, lemon juice, mustard, garlic clove and process until foamy. With the food processor running, pour in the oil in a very thin trickle until the mixture becomes thick. By hand, stir in the tomatoes, paprika, cajun spice and seasoning. Place just a little sauce on the bottom bun, add all the toppings and the burger in whatever order you like and serve! Love this recipe and I couldn’t agree more, homemade mayo makes sandwiches and salads waaayyy more delicious! Hi Giovanna! Thanks so much, we love it too. And its so much easier than I thought before I tried it. UNDOUBTEDLY ONE OF THE BEST BURGERS I’VE EVER HAD ! ! ! THANK YOU!!! High praise from a proper chef… So glad you like them as much as we do! I cheated on the mayo, bought a lite mayo then added all the spices! OMG, my hubby loves it and requested that I buy 2 containers of mayo leave one as is and the other with the spices from this recipe!!! Thank you so much for sharing this recipe!